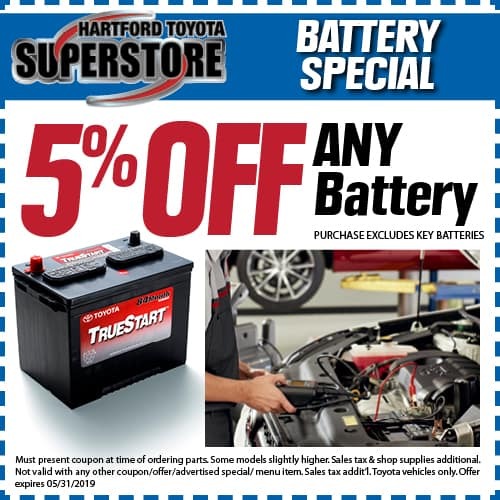 Keeping your car running at a safe and sensible level doesn’t have to be a huge cost to you, as you’ll find with these service specials we offer at our Hartford, CT Toyota dealership serving Manchester, Bristol and Middletown. 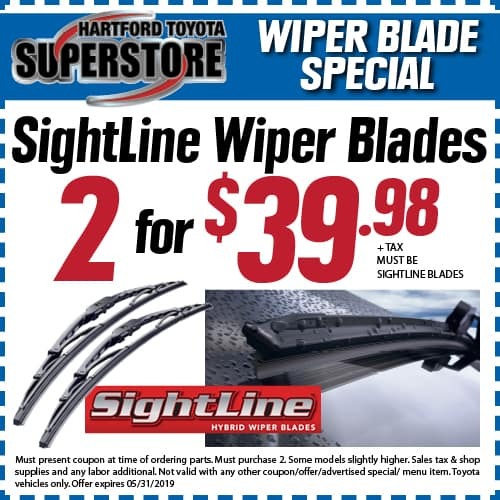 By taking advantage of these specials with each visit, maintaining your car and keeping its value closest to its peak is easier and more cost-friendly. Take a look through and see if there’s a special that corresponds with the kind of routine maintenance or repair work needed, and then head over here right now to get started. 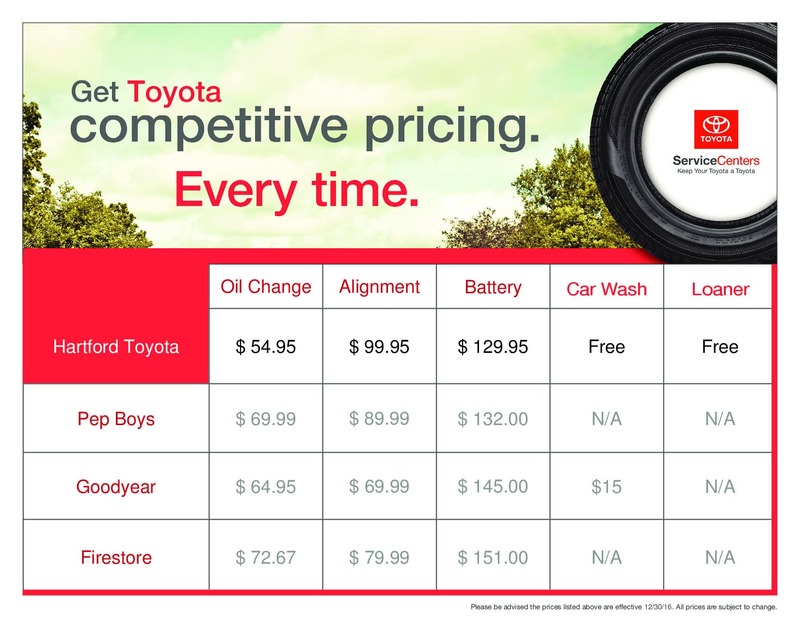 Even before we offer these savings, there are plenty of great reasons to regularly make appointments here at our service center at our Hartford Toyota dealership. Our highly trained and experienced technicians will take care of all kinds of routine work, like oil and filter changes and tire rotations, as well as more involved repairs on brakes, suspension systems and everything else that might need some attention in your car. Beyond the savings these specials provide, we also make convenience a priority. 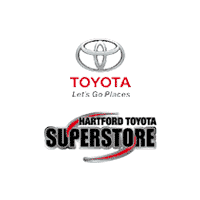 It’s easy to schedule a service appointment with us here in Hartford, and we’ll work with you to fit your needs into your schedule. You can save on replacements for damaged components with the parts specials we offer as well, so you can decide what kind of deal will be the most valuable with each visit. 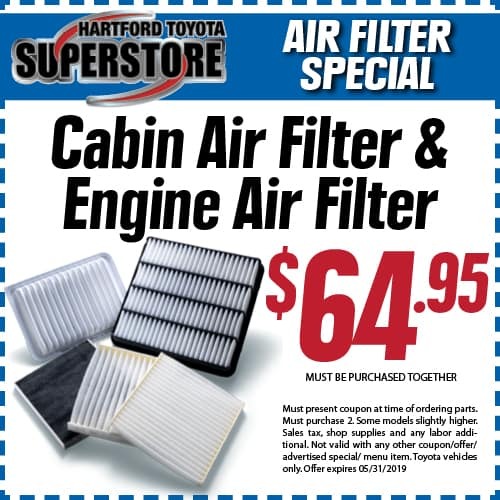 You’ll find that combining all these available specials with the kinds of routine maintenance necessary for keeping your car healthy and happy is a great overall investment. 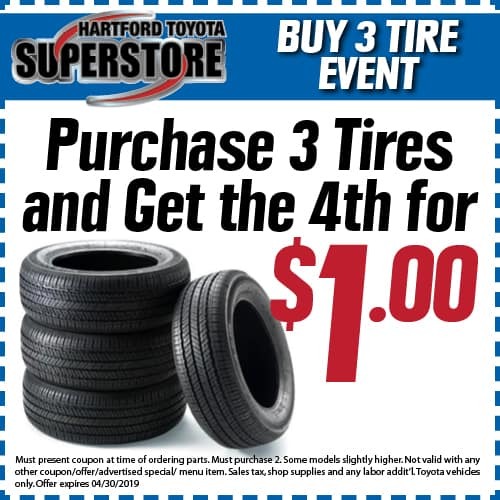 Take some time to search through these service specials, and then make your way over to Hartford Toyota Superstore today. We’re happy to answer any questions you have and we’ll always be glad to point you in the right direction.